Happy Monday, friends! It’s getting to be that time of the year! 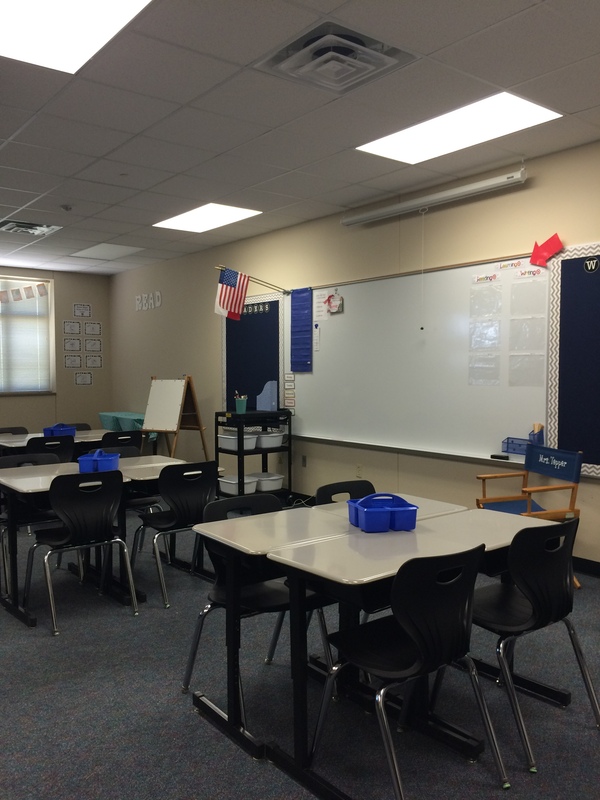 Back-to-School signs are up and school supplies are lining the shelves. 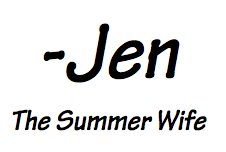 That also means it’s time for summer wife to spend some time slowly taking off my sunglasses and putting my teacher hat back on. As an elementary teacher, I create lessons and make daily decisions that impact kiddos, their families and their futures. This is a BIG responsibility and I feel honored to get to help shape my students’ futures. 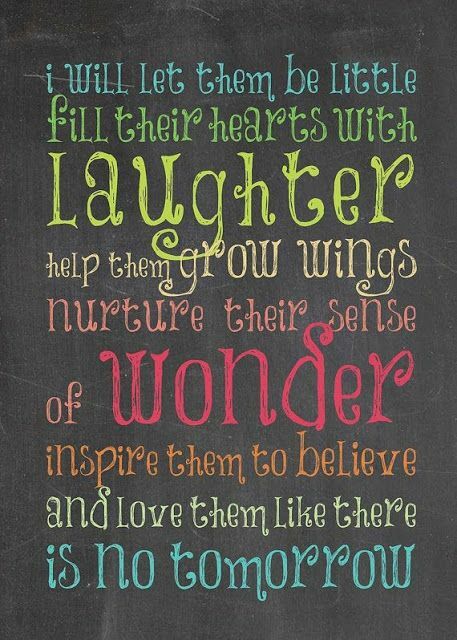 During the school year, we spend so many hours as a “school family” in our classroom. 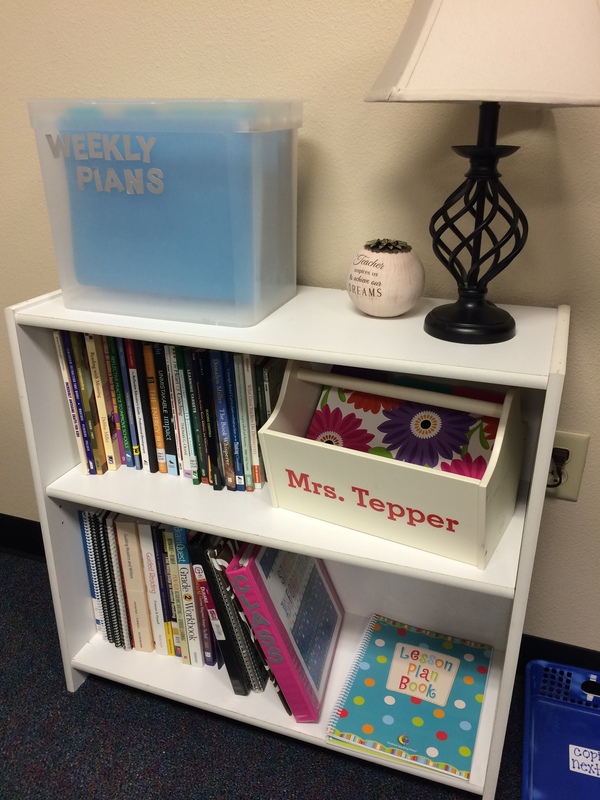 It’s important that our learning space be a place where students feel welcome. 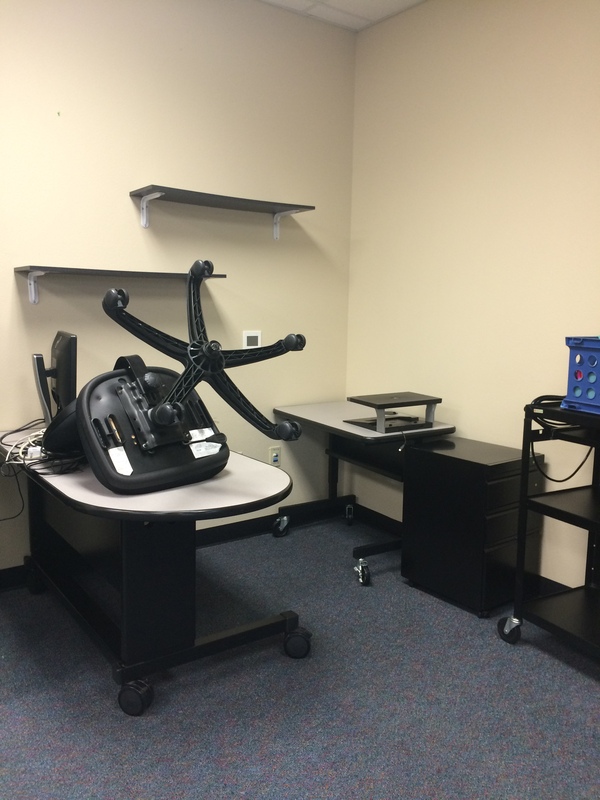 A space where they can be thinkers and creators. 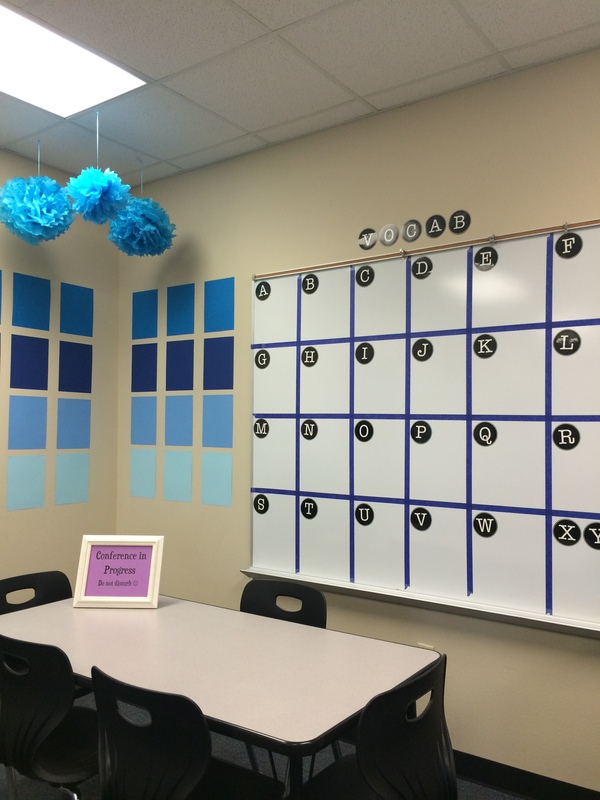 My love of creating, DIY, home decor and writing (blogging) is reflected in our classroom. 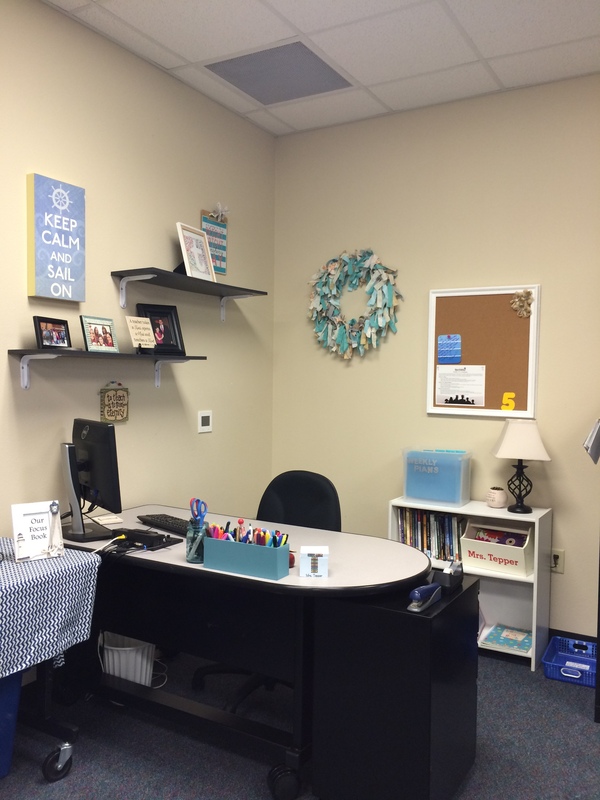 I believe that filling your living spaces with things you love applies to your work environment as well. In my case, my work environment is the classroom I share with my students. 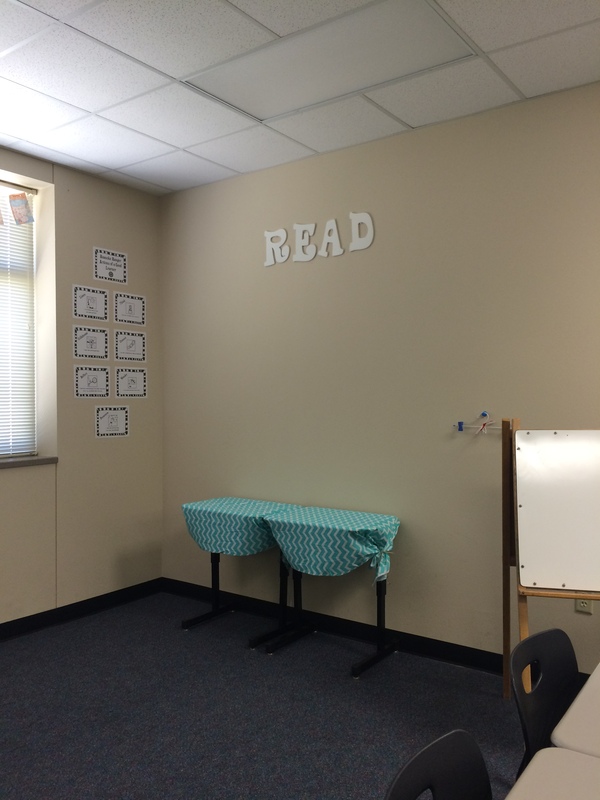 Teacher Decor Tip: Do not fill all your walls with cute decor. 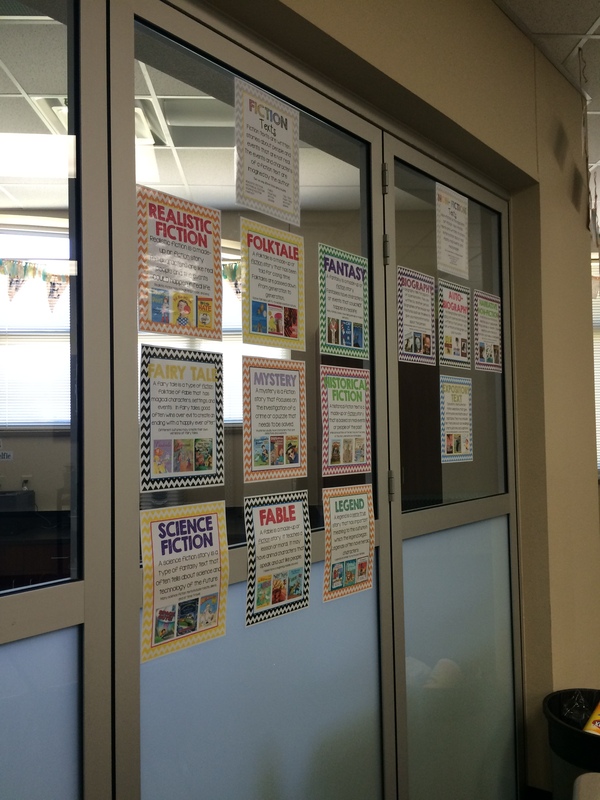 Within the first few weeks your walls will be filled with anchor charts from mini-lessons. 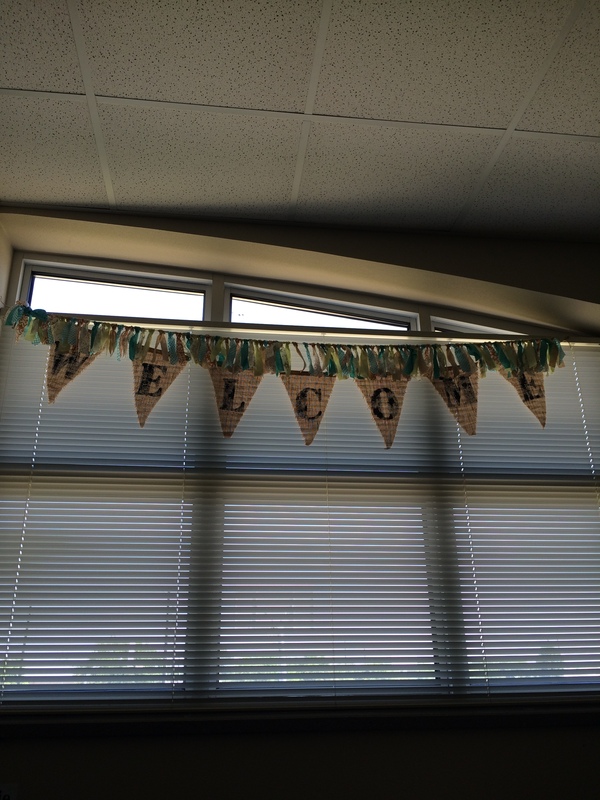 A quick burlap welcome banner can make any space feel inviting! You all know I love my shades of blue and gray! Do you notice them in our classroom? 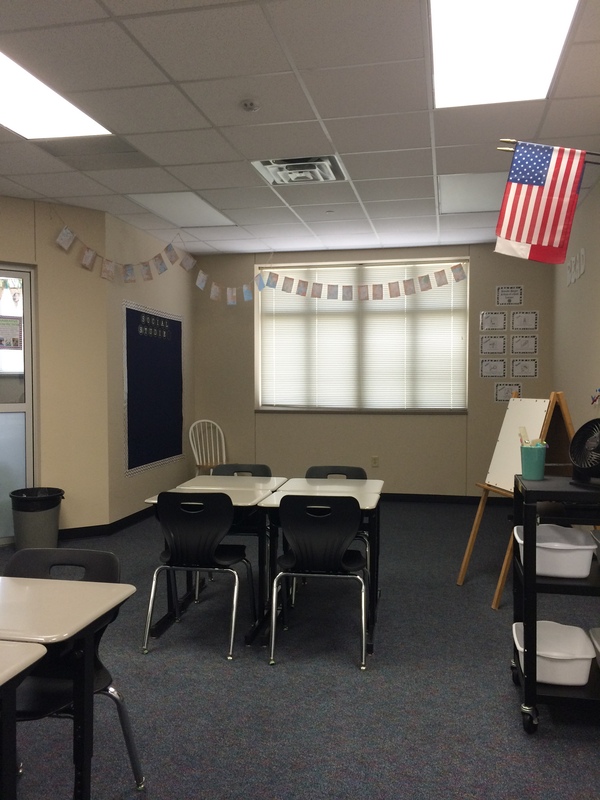 I teach Language Arts and Social Studies so the map flags in the window were a fun addition the room’s decor. Thank you, Pinterest! 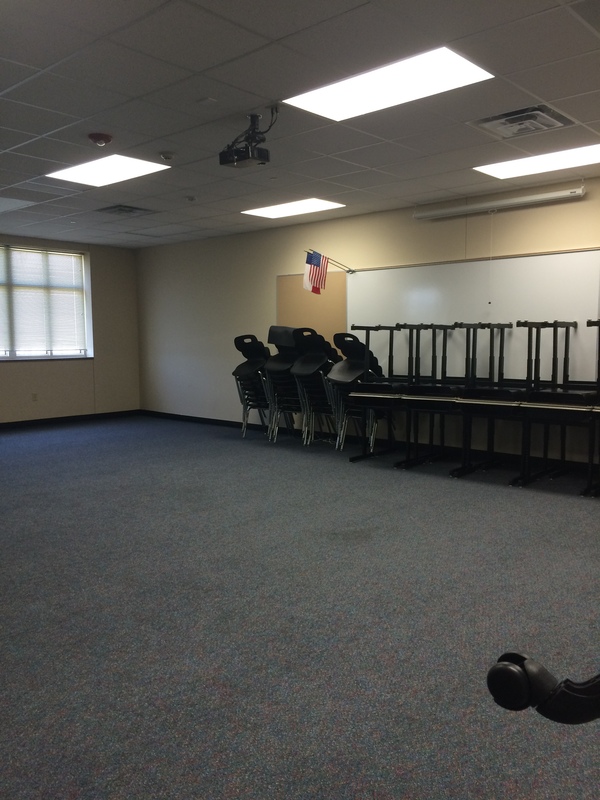 The room may look cute now, but none of my decor will compare to what our walls will look like once the kids arrive. Their thinking, creations, written pieces, and charts will fill our walls and tell the story of our journey as learners this school year. 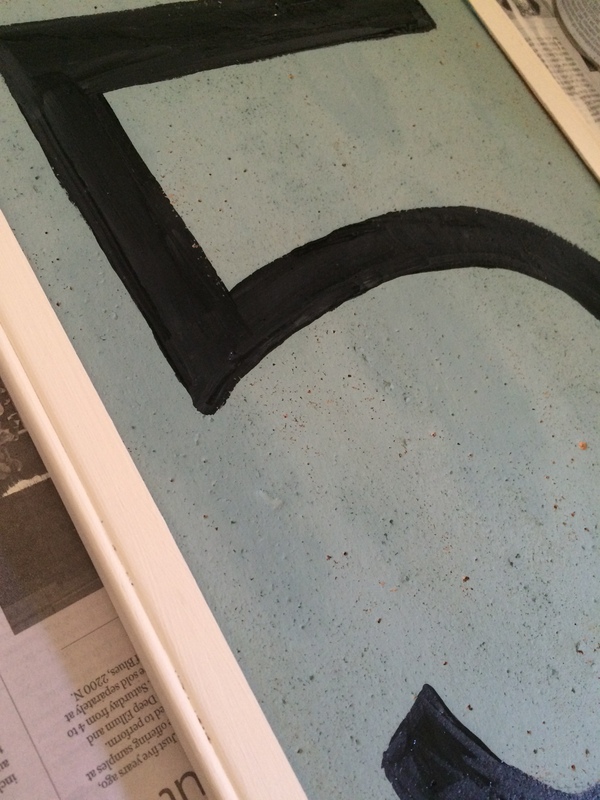 DIY Project: Cork Board purchased at GoodWill for under $2 and painted with Annie Sloan Chalk Paint and a number 5 for 5th. 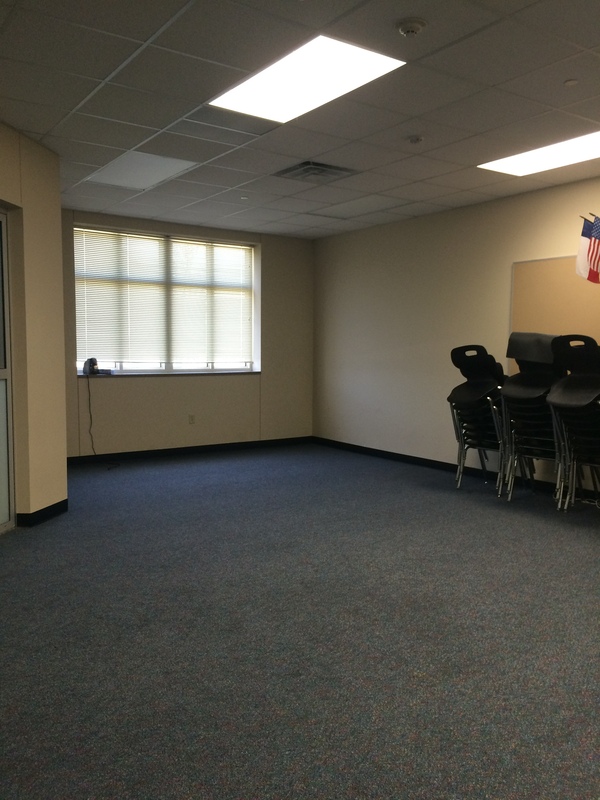 If you’re a teacher, how do you make your classroom space inviting for students? Happy (almost) back to school!